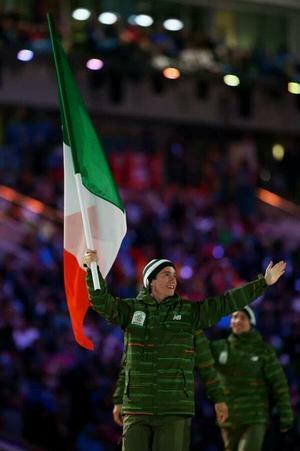 LOGAN – Ireland’s Olympic skier Conor Lyne laughed and said life after Sochi isn’t too different. After competing in the giant slalom and slalom at the 2014 Winter Olympics, Lyne spent three weeks in Ireland celebrating with family. He is now back in Utah, but not for long. In a few short days, Lyne will head back to Ireland to work until next fall. He will then return to school at University of Utah. Lyne may have grown up in Logan, Utah but his heart is in Ireland. Both his parents were born in Ireland and it is still home to the majority of their extended family. After spending every summer there himself, he even picked up his own Irish accent. At the age of four, Lyne’s family moved to Logan, Utah for his father’s job in the dairy industry. After making the move to Utah, they started skiing at Beaver Mountain as a family when Lyne was just five. At the age of nine, Lyne started getting more competitive and joined Beaver’s ski team. Once he was 14, he started the application process to represent the country of Ireland. 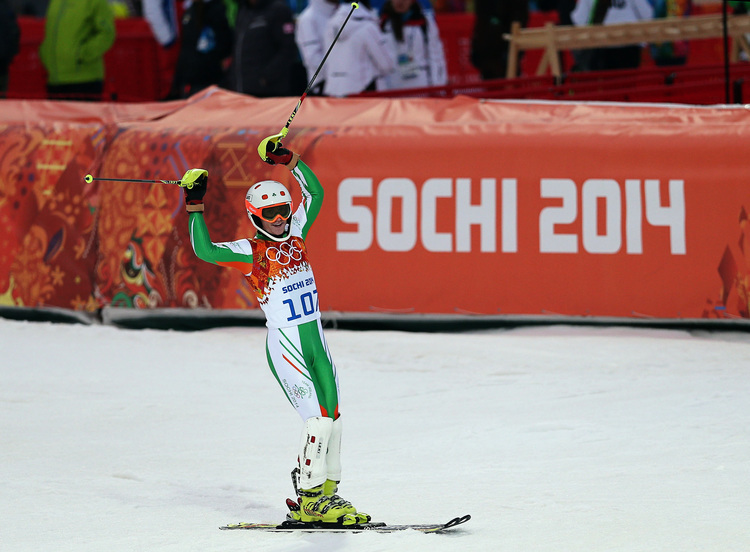 Then in February 2014, at the age of 21, Lyne made his Olympic debut when he carried the Irish flag at Sochi’s Opening Ceremonies. “Carrying the flag was the proudest moment of my life. You walk out into the stadium in front of the world, carrying your country’s flag. It’s the greatest honor,” Lyne said. Things didn’t go exactly as planned in Sochi. The day after Opening Ceremonies, Lyne fractured his shoulder in training. Doctors initially told him he would be in a sling for four weeks. Lyne began to wonder if he would even be well enough to compete. “That was the main focus then, it wasn’t really having fun and enjoying the experience, it was more getting ready for competition,” the Logan High graduate explained. Lyne said he thinks the injury did affect his performance, but mostly just confidence-wise. Lyne said the conditions also made it difficult. Temperatures were warm, 45 degrees, making the course slushy. Lyne crashed in the giant slalom but was happy with his slalom performance. He finished 40th out of 117 athletes. Although Lyne did suffer from a stressful injury, he still found some time to enjoy the Olympic experience. Now that the Olympics are over, Lyne is ready to take the rest of the season off so he can rest and heal. He said it will also be nice to catch up with friends and family since his social life took a backseat to skiing for the past four years. Lyne hopes we will see him again at the 2018 Winter Olympics, but he said he will definitely be at the 2015 World Championships in Colorado. Lyne added that other young athletes should never give up on their dreams. 22nd February 2014 Mandatory Credit - Photo-William Cherry/Sportsfile Ireland's Conor Lyne skis the Men's Slalom in the Sochi 2014 Winter Olympics at the Rosa Khutor Alpine Centre, Russia.